Ultrasound for capsular contracture is a new treatment option, which is still controversial in the cosmetic surgery industry. Ultrasound uses high frequency sound to accomplish a range of medical applications. Human hearing range is limited to approximately 20 kilohertz, which is far lower than the typical range of ultrasound treatment frequencies. Ultrasound for use in treating capsular contracture looks promising and has few risks, so it is worthwhile to investigate before considering surgical correction of the implant constriction. This report examines using ultrasound therapy to resolve problematic capsule constriction in breast augmentation recipients. Ultrasound can be used to prevent contracture development, halt the progress of low level contracture or reverse the process in more severe instances. The therapy is non-invasive, painless and demonstrates fair to good results in resolving many contracture issues. This sound-wave therapy is more effective when combined with other non-surgical capsular contracture treatments, such as Vitamin E, Accolate, Papaverine, breast massage and breast compression. Other recent developments in treating capsular contracture involve using electromagnetic fields or wave energy in combination with ultrasound or as stand-alone modalities. Ultrasound is generally safe and comfortable for all patients. Some women might be discouraged from usage, due to specific health issues. 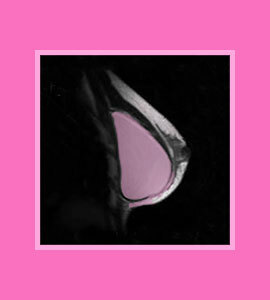 Prolonged ultrasound at certain frequencies can result in loss of fatty tissue, which can alter breast size and shape. Ultrasound might also be a contributor to implant shell degeneration in certain varieties of breast implants. Make sure to discuss ultrasound usage with your doctor, before commencing treatment for your capsular contracture issues. Capsular contracture is a dreaded event, which can create painful symptoms and aesthetic problems. Treatment for advanced contracture is advised and can be a traumatic process for any affected woman. 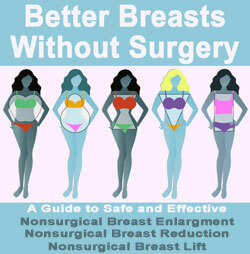 Learning about each of your therapy options is one way to prevent further surgical procedures. It is advisable to try non-surgical methods of correction first and progress to more invasive treatments only if necessary. Worse case scenario is still not that bad, since surgical correction of contracture is a very effective means of ending the condition, often for good. Ask your doctor if ultrasound or electromagnetic field treatment might be good choices for treating your contracture condition.